Dra. Maria del Socorro Flores Gonzalez was born in San Buenaventura, Coahuila, Mexico on Sept. 10, 1955. Her parents are Maria del Socorro Garcia Gonzalez and Humberto Flores Flores. She is the first of 5 siblings from her family and is now married to Federico Castaneda and has a daughter Ana Cecilia and son Juan Jorge. 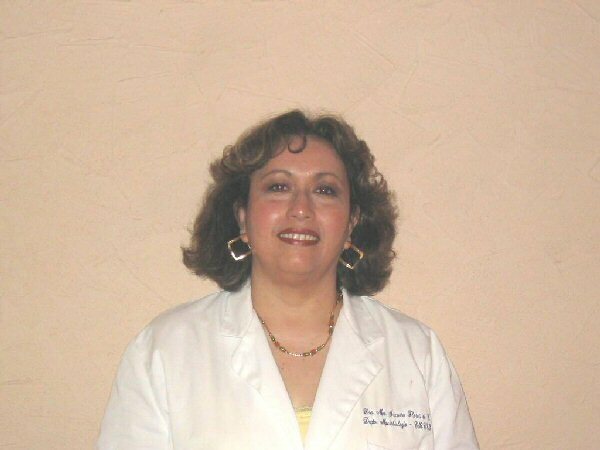 She studied her bachelor’s degree in Chemistry as a drug biologist at the Faculty of Chemical Sciences at the Autonomous University of Coahuila (1976). Master’s and doctorate of Science specializing in immunology (1986) at the National School of Biological Sciences of the National Polytechnic Institute (1982). And conducted a post-doctoral in the Unité d, Immunohematopatologie. Insitute in Paris Paris (1985). When Dr. Gonzalez was asked about her interest and drive towards science, she responded that since infancy, it was a blessing growing up in a family where no differences existed between genders. Her parents instilled the importance of education. Even though the time of her childhood was a time where women independence and struggles existed, her maternal grandmother was a woman with an impressive drive with a strong character. She was raised to help people, study, and get ahead. She has mentioned that there was no actual discrimination when it came to education in her family. Study trips and social relationships were allowed as long as the education was well handled. In that sense, the atmosphere was very different from some neighboring families, much less restrictive. There was a moral framework established within the family where it was essential to have family meetings and talk about problems from every member in the family. For lunch or dinner, it was all about a thoroughly important communication. Currently she is a professor and coordinator of the master’s and doctorate in Science specializing in Medical Microbiology. Part of the Faculty of Medicine of the Universidad Autonoma de Nuevo Leon (UANL), and a researcher attached to the Department of Microbiology and Immunology at the Institute of Biotechnology and UANL National System of Researchers Level 1. Her teaching is in undergraduate Microbiology and Molecular Diagnostics of pathogens and Microbiology and Medical Microbiology in the graduate programs. 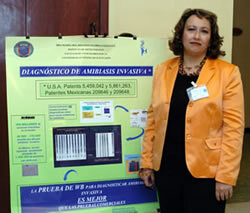 She is a member of the National System of Researchers (SNI) and owns two patents in Mexico and another two in the US. • Molecular cloning of DNA from a protein inmunodominante low molecular weight of Entamoeba histolytica. • Design of an Elisa test for the diagnosis of invasive amebiasis and obtaining a 8KDa protein as a marker for invasive amebiasis. • Validation of the clinical utility of a diagnostic test for HIV-western blot for invasive amebiasis and search for the band of low molecular weight antigenic E. E. histolytica in uneven. • Diagnosis of hepatic amebiasis through an immunoassay test. • Oral immunity in a murine system. • Author of 21 articles published in national and international journals and 17 popular articles.